Arsenic is a poisonous metalloid that pollutes the land and drinking water in many countries in Southeast Asia, mainly in Bangladesh or Cambodia, and neither is a developed country free from this problem: it still remains in certain mining areas, timber or paper mills and industrial areas. The ingestion of crops contaminated by arsenic can cause cancer, digestive disorders and skin diseases, because it becomes accumulated in the human body instead of being digested or excreted. Professor Youngsook Lee, Department of Life Science, and her research team including Dr. Won-Yong Song, Postdoctoral ..
Hydrogen as an alternative source of energy is one of the key elements in building environment-friendly vehicles that do not emit carbon dioxide. Currently, the market for hydrogen vehicles is fiercely competitive among countries with large automobile markets like Korea, Japan, and the United States; the drive is to develop a way to sophisticate the existing technology at low cost and for large quantities. The problem is that the vehicles are much too expensive to become commercialized and they have certain drawbacks. 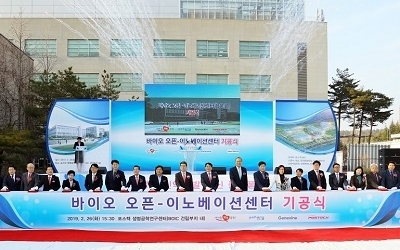 Mid-sized hydrogen automobiles cost up to 90,000 US dollars; the fuel cell i..
PIRO, the Pohang Institute for Intelligent Robotics located on the POSTECH campus, the first independent research institute for intelligent robotics in Korea, released information on PIRO-U3, a cleaning robot that functions underwater. Under supervision, the robot can be used in various places, such as industrial water tanks, reservoirs, riverbeds and also inshore area. It is noteworthy that PIRO-U3 was completed with domestic techniques only.Before PIRO-U3, sediments at the bottom of industrial water tanks were manually removed after draining all the water; the cleaning process of riverbeds o..
Electronic displays that can be rolled up like newspapers, televisions that can be hung on walls like calendars, or computers that can be put on like clothes are fascinating ideas still to be realized. But technology certainly has evolved in this direction. A research team led by Professor Chan Eon Park of POSTECH’s Chemical Engineering Department has come forth with a breakthrough with organic electronics. The team’s work focuses on a specific type of Organic Thin- Film Transistor (OTFT) called n-type organic semiconductors. The ‘n’ stands for negative, indicating the ..
Schizophrenia is a severe mental disorder that entails hallucinations and delusions, for those who suffer it become incapable of controlling their minds. According to existing studies, the cause can be defined through genetic and environmental factors where the role of the gene called ‘Disrupted-in-schizophrenia 1’ has become central in the research. DISC1 in short, implies that this specific gene is found disrupted only in those who suffer from schizophrenia. Management of the disorder depends largely on medications and psychological interventions, but unfortunately, there is no d..
Arsenic is a very toxic substance most widely used for wood preservers because it is a strong killer of insects and bacteria. It is also being applied in the manufacture of agrichemicals such as pesticides, insecticides and herbicides; but its usage has been declining because of adverse effects on the environment.Due to its odorless and colorless character, and its capacity to become transferred easily, arsenic intake can occur accidentally by drinking allegedly “clean” water. The World Health Organization estimated that approximately 57 million people worldwide are drinking arseni.. In the D. J. Caruso film Eagle Eye (2008), a super-computer equipped with artificial intelligence controls the society by monitoring everything with CCTVs located all over the world. A recent development suggests that the movie may possibly become a reality; a surveillance camera that can judge a situation by itself and prevent terrorism or theft has been invented.A research team led by Professor Daejin Kim of the Department of Computer Science and Technology has developed a technology which automatically detects unattended items as well as burglaries in public places such as subway stations a..
Amicrofluidic chip that can diagnose the warning signs of stroke (or cerebrovascular accidents) with only one percent of one drop of blood or medical devices that may be able to treat something as tiny as blood cells were previously just subjects for science fiction. But a recent study done by a POSTECH-Michigan University (USA) research team broke open the possibility to turn such ideas into reality. 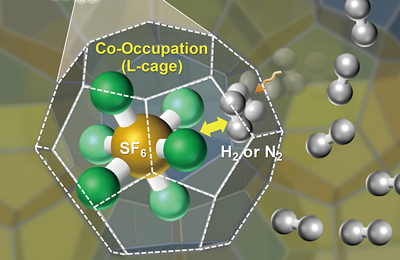 The study was selected as the Featured Paper on the May 17th edition of Nature Nanotechnology Online, a respected journal in the field of nanoscience. Dr. Sanghyun Lee, postdoctoral researcher at.. If you are suffering from cancer and need interferon therapy, or if you need human growth hormone for the treatment of short stature, you could not escape unpleasant repetitive injections. The former requires thrice-a-week injections and the latter needs daily injections. However, such frequent injections are no longer necessary, thanks to a new drug delivery device developed by a POSTECH research team.For long-term controlled delivery, protein drugs had been encapsulated within biodegradable polymers such as poly (lactic-co-glycolic acid), PLGA. Despite successful commercialization, however, ..